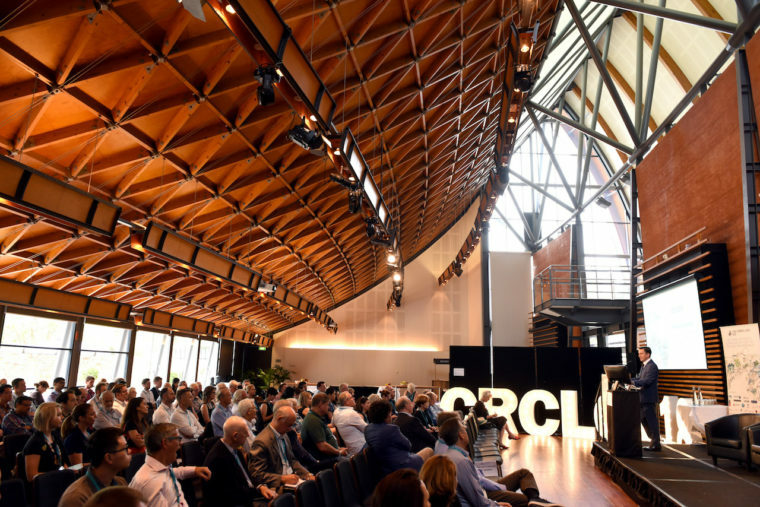 Cooling hot suburbs, low tech ways to save energy in pools and breakthroughs in wastewater treatments were highlights at the recent CRC for Low Carbon Living conference last week in Adelaide. Each pointed to the sound body of evidence underpinning good urban planning decision. Helen Liossis, head of corporate strategy and business planning at Sydney Water, and speaker at last week’s CRC for Low Carbon Living in Adelaide focused on the heat problem for western Sydney and the potential for measures such as reflective surfaces and planting trees could have. She told The Fifth Estate in an interview after the conference, that the region experiences extreme hot days in summer at temperatures 6-10°C higher than in the eastern suburbs, and has up to three times more heat-related deaths. Not only are these conditions unpleasant and dangerous, Ms Liossis said, they are also energy intensive because people spend more time indoors such as in cinemas and shopping centres where there’s airconditioning. 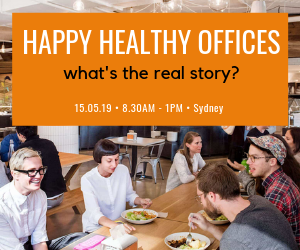 Residential buildings in the far west part of Sydney use as much as 64 per cent more energy than homes in other parts of the city, and commercial buildings use as much as 44 per cent more energy, Ms Liossis said. Researchers assessed the impact of three urban heat mitigation technologies – greenery, water and cool materials. Ms Liossis said that although greenery does have a cooling effect in the hot parts of Sydney, the study found the most effective urban heat mitigation technologies use a combination of water based technologies (including fountains) in conjunction with cool material technologies, such as cool roofs and pavements. She also pointed to the merits of water misting systems. Used a lot in Singapore, these sprays of fine water mist “barely use any water” and can be very effective at cooling and improving amenity in certain outdoor public places. Ms Liossis said CL conference was a good opportunity to bring together the different parties involved in reduce carbon emissions in Australia’s built environment to discuss the latest research. This years’ event was “really buzzy”, she said, with a strong line up of speakers and guests from universities, business and government. Neil Cunningham from Simply Better Pool Savings is tackling carbon emissions closer to home. His company is essentially helping people save money on their electricity bills by making them run their pool smarter with a small “DIY, two screws and you’re away” equipment upgrade. Technically known as a “variable frequency drive”, Mr Cunningham said that the technology has been around a while and that his company has just made a “plug and play” version for residential pools. The device is installed on the pool’s pump so that it can operate at various speeds rather than at top speed all the time, which is the case for 90 per cent of Australian pool pumps, according to Mr Cunningham. “It’s like having a car that’s stuck in fifth gear and doing 100 kilometres an hour but you want it to be able to do 60 Ks sometimes to be able to drop the kids at school,” he said. Mr Cunningham set up the company because he wanted to help reduce carbon emissions in households. He decided to focus on pools because they are usually the biggest energy guzzler in houses that have them and account for around 30 per cent of the energy bill. “My history is in energy efficiency and there’s a lot of narrative in this space about servicing the top five polluters… there’s a lot of focus on the big end of town. “There is merit in that but I wanted to do something at the grassroots level, and I wanted to turn that narrative on its head and prove people wrong,” he said. SA Water’s principal process engineer, wastewater, Dr Nirmala Dinesh, is on a mission to improve the energy efficiency of wastewater treatment facilities and is part of a team that is benchmarking low carbon waste water treatments for the Australian context. Typically, the most energy intensive aspect of the wastewater treatment process is aeration (and the mixing that accompanies it) to remove nutrients such as nitrogen and phosphorus. These nutrients need to be taken out to prevent algal blooms, low dissolved oxygen, and killing fish. Dr Dinesh’s research found that there are huge efficiency savings but no performance loss by using “intermittent mixing” – that is, turning the mixing system on for 10 minutes and then off for 10 minutes rather than running it the whole time. This is something any utility can do without needing to invest in new infrastructure, according to Dr Dinesh. Although the study is not complete and the results are not yet conclusive, Dr Dinesh was pleased to report that South Australia is home to some of the best performing plants on energy consumption in the country. She said that this is because SA Water has a “very systematic” approach to identifying opportunities to increase energy efficiency. I haven’t read the whole article yet but I am guessing that the roofs wouldn’t absorb CO2 the way greenery does.